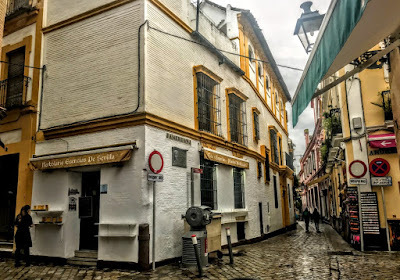 Each day, as I walked from Las Casas de la Judería, the hotel where I was staying this week, and Seville Cathedral, I noticed a plaque on a street corner marking the birthplace of José María Blaco y Crespo, or Joseph Blanco White (1775-1841), , born José María Blanco y Crespo (1775-1841), an interesting an often controversial Irish and Spanish theologian and poet. 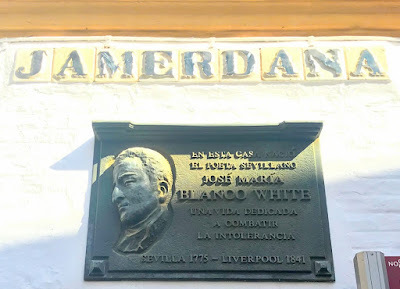 Joseph Blanco White was born in this house in Seville on the corner of Jamierdana and Ximenez de Enciso on 11 July 1775. His grandfather, William White, and his father, also William White, were Irish merchants who fled from Waterford after the Treaty of Limerick, to escape the Penal Laws in the early 18th century, and to establish themselves as merchants in the wine trade. 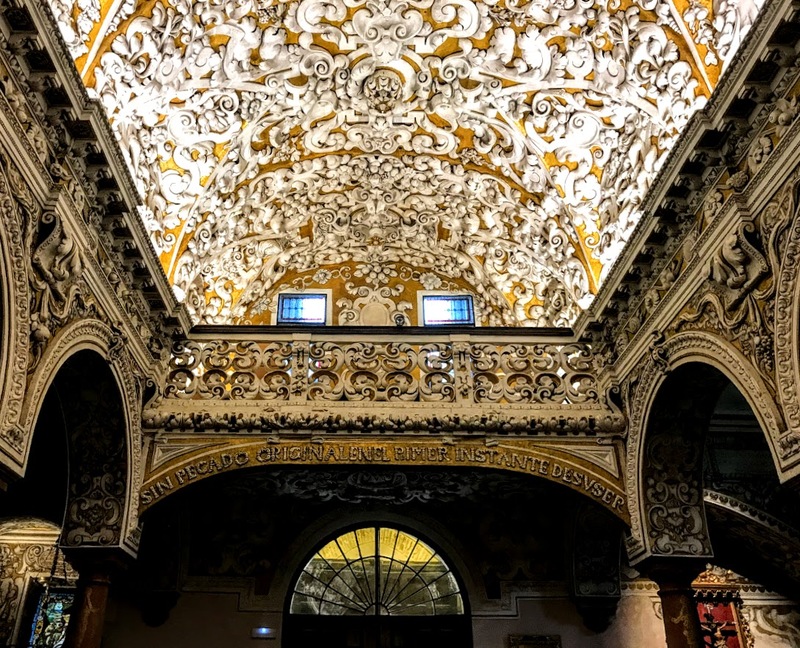 His father William White, had served briefly as the British Vice-Consul in Seville, and had changed his name to Guillermo Blanco, while his mother, María Gertrudis Crespo y Neve, was Spanish-born. 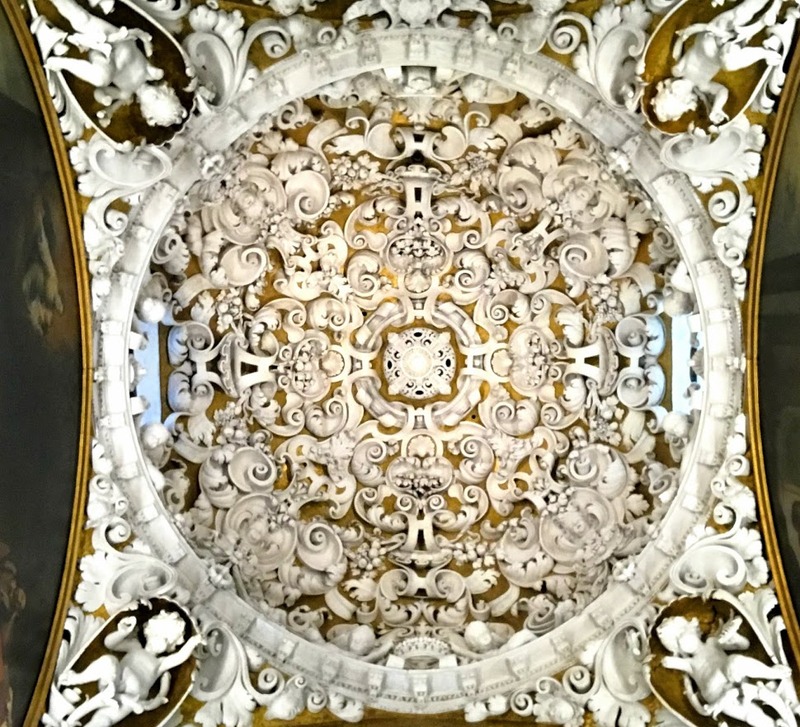 José María Blanco y Crespo had worked in Seville with Melchor de Jovellanos, an adviser to the king who advocated reform, and was educated for the Roman Catholic priesthood. However, after his ordination in 1800, White had religious doubts led him to leave Spain and he moved to England on 3 March 1810. 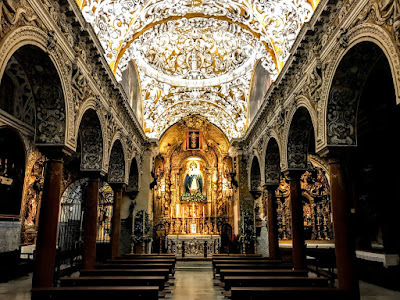 By 30 April, he had started to anglicise his name, which stirred controversy in Seville and Cadiz, where he was seen abandoning his Spanish identity, although White was the family’s original Irish name when they settled in Andalusia. From 1810 to 1814, Blanco White edited El Español (‘The Spaniard’), a monthly Spanish magazine in London, which strongly advocated independence for the colonies in Spanish America. He also wrote in favour of free trade and religious freedom, criticised the despotism of the monarchy, and advocated the separation of Church and State. His publications were banned in Spain, and the Inquisition initiated a ferocious campaign against him and his ideas, branding him as an anti-patriot and traitor. Shortly after his arrival in England, his search for truth had led him to embrace Anglicanism. He studied theology at Oxford, where he received an MA in 1825. There he came under the influence of Thomas Arnold, John Henry Newman, Richard Whately (1787-1863), a future Archbishop of Dublin, and other leading lights in the Oxford Movement. Within a couple of years, he was officiating in the University Church of Saint Mary’s in Oxford. Whately was elected as Drummond Professor of Political Economy at Oxford in 1829, and he was appointed Archbishop of Dublin in 1831. White moved to Dublin with the family as a tutor to Whately’s only son Edward. White spent four years at the Archbishop’s house at Redesdale, in Kilmacud, Co Dublin. During this time, however, his theological ideas were still developing, and he began to stray from Anglican orthodoxy, taking an interest in Socinianism or Unitarianism. Eventually, White left Dublin to join the Unitarian community in Liverpool, first staying with Clemente de Zulueta, a Spanish merchant and intellectual, and making friends with the Revd James Martineau, minister at the Paradise Street congregation, who had been ordained as a junior minister of Eustace Street Non-Subscribing Presbyterian Church in Dublin in 1828. However, White found himself in disagreement with some members of the Unitarian community within four months of arriving in Liverpool. His Observations on Heresy and Orthodoxy, published in London in 1835, was a deeply controversial text, and cemented the rift between Blanco White and John Henry Newman. Despite all this, Whately still continued to support White for the rest of his life with an annual subsidy of £100, as well as helping to secure for him a queen’s bounty of £300 in 1838. While died in Liverpool on 20 May 1841. As a writer, White is best remembered for his sonnet ‘Night and Death’ (1828), with its opening words: ‘Mysterious Night! when our first parent knew,’ and dedicated to Samuel Taylor Coleridge. His principal writings are Doblado’s Letters from Spain (1822), written under the pseudonym of Don Leucado Doblado, and written in part at Holland House in London; Evidence against Catholicism (1825), Second Travels of an Irish Gentleman in Search of a Religion (two volumes, 1833), written as a riposte to Thomas Moore, the Irish poet, singer, songwriter, and Observations on Heresy and Orthodoxy (1835). He also translated Paley’s Evidences and the Book of Common Prayer into Spanish. A collection of manuscripts and books about the life of Blanco White is in the Representative Church Body Library (the RCB Library) in Dublin, tracing his life and his journey in faith. And lo! Creation widened on Man’s view. That to such countless Orbs thou mad’st us blind! 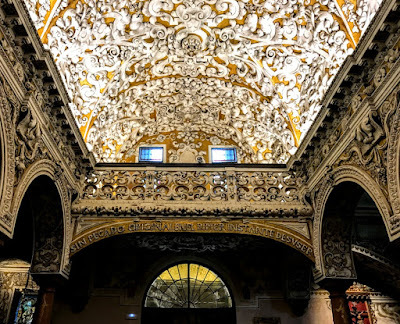 For the past few days I have been staying in Las Casas de Judería, an hotel in the former Jewish Quarter in Seville. Next door is the church of Santa María la Blanca, which gives its name to this street. The church, on the corner of Archeros street, was once one of the main synagogues in this area, but after the Jews were expelled from Seville, the synagogue was converted into a church. The doors that once served as the main entrance to the synagogue from Archeros street are now closed. But the church too was closed every time I tried to visit it this week … until late on Friday evening [26 October 2018] as I was leaving the hotel for dinner. As I wandered around the church late yesterday, I found I was wondering whether the ornate dome in the church had once stood over the tevah or bimah in the synagogue … whether the main altar had once been the place where the Torah scrolls were once kept … whether the gallery over the main entrance had once been the women’s gallery. As I looked at the statue of the Virgin Mary as Santa María la Blanca above the main altar, I imagined her looking the full length of the building and up at what I saw as the former women’s gallery at the other end, weeping as one Jewish woman at the death of thousands of other Jewish women in Seville on the night of 5 and 6 June 1391. In the Pieta-like portrayals in the church, depicting the Virgin Mary weeping over the dead Christ, I thought of her weeping at the expulsion of so many Jewish parents and their children on the orders of the Spanish Inquisition at the end of the 15th century. 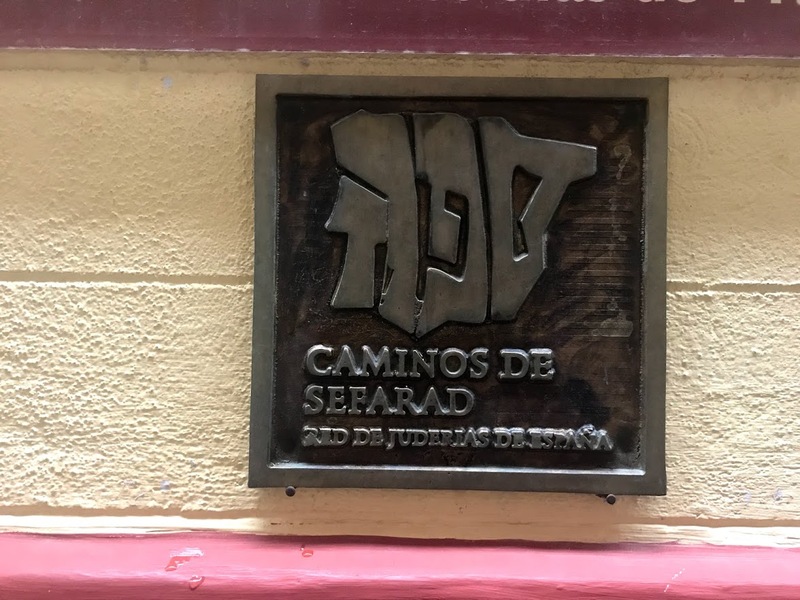 Around the corner, at the Jewish Interpretive Centre on Ximenez de Enisco, many exhibits tell the stories of strong women who suffered in the pogrom and persecutions in Seville in the 14th and 15th centuries. These stories include the legend of Susona ben Susón, the daughter of Diego Susón, a wealthy merchant and Jewish convert. Her intended fiancé betrayed Sosana, alleging a Jewish plot to overthrow the city and church authorities in Seville. Diego was burnt at the stake on the orders of the Inquisition, along with up to 20 of the other alleged conspirators. 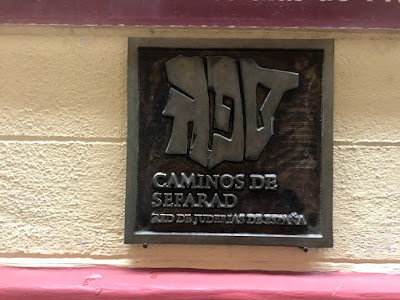 They included Pedro Fernández de Benadeva, the cathedral butler, Juan Fernández de Abolafia, a lawyer known as the ‘perfumed one’ for his tendency to overdress, Adolfo de Triana, a wealthy merchant, and others who were Christians from families that had converted from Judaism in the previous century. Needless to say, Susona was abandoned by her erstwhile lover, and she later lived a mysterious and hidden life that gave rise to many mysteries and legends. There are parallels with story of Susanna (שׁוֹשַׁנָּה), also called Susanna and the Elders, in the Book of Daniel (Chapter 13) is the story of a woman who is accosted and falsely accused. She refuses to be blackmailed and is arrested and about to be put to death for promiscuity when the Daniel interrupts the proceedings to prevent the death of an innocent woman. However, the saying is is not in the Talmud. Instead, it is found in Matthew Henry’s Commentary on the Whole Bible. 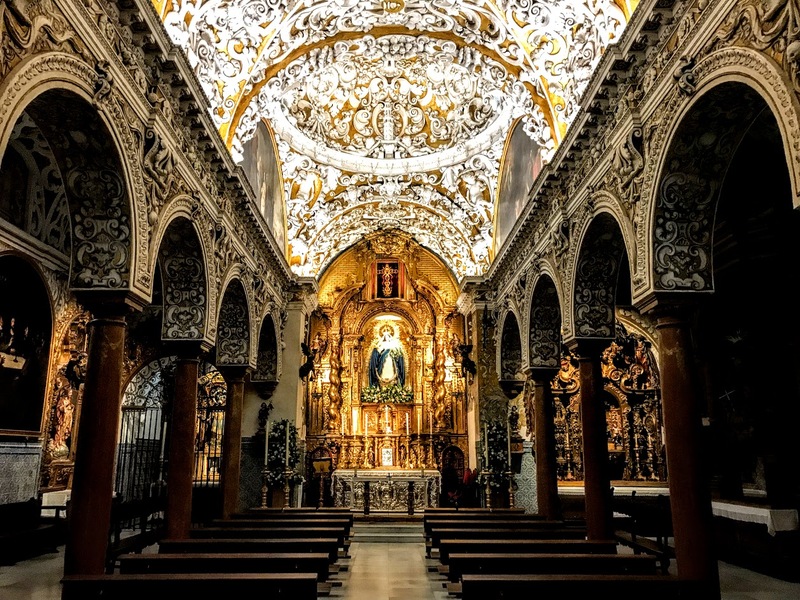 However, it seems that the more direct source for this interpretation is a commentary by Isaac ben Abarbanel (1437-1508), a Portuguese Jewish philosopher and Biblical commentator who lived in Venice but whose family has once lived in Seville until they were expelled in 1391. According to one of his commentaries, cited by Dr Ari Zivotofsky of Bar Ilan University, Abarbanel states that Eve was not created from Adam’s foot so that he would not consider her a lowly maidservant, nor from his head so that she would lord over him. Rather, she was created from his side so that she would be equal to him. Abarbanel’s commentaries had a lasting influence on many Christian theologians and writers. Most of his commentaries were translated into Latin, and he had many numerous Christian admirers who studied his writings diligently. Matthew Henry (1662-1714) of Chester, who was one of Abarbanel’s avid readers, was a Calvinist, Puritan dissenter. He had virulent anti-Catholic and anti-Anglican views, but he was vigorous in compiling his Biblical commentaries. If the quotation about Eve, placing her within the tradition of Sephardic women, truly came from the Talmud, then it would provide an interesting challenge to the sexist prejudices that continue to survive in some Jewish and Christian traditions. The fact that it was probably the creative work of Matthew Henry makes the quotation an interesting challenge to those neo-Calvinists today who claim they are ‘complementarians’ and seek Biblical justice for their prejudicial views about the place of women in religious life.